In the modern world of digital advertising, there are so many ways to promote your business. Social media platforms offer a variety of creative opportunities for business promotion, and Google is eager to help all advertisers to place their ads with the help of Google Adwords. But while having accounts on Instagram, Facebook, Snapchat and other social media is a must in 2018, it’s hard to impress the consumers only by posting images and videos on these platforms. Your business needs to be more creative and think outside the box. A podcast is a great way to communicate with your followers. It’s also something that not everyone thinks to use as a tool for promotion. Creating a podcast for your business gives you an endless source of ideas and is also great for building a big following base. 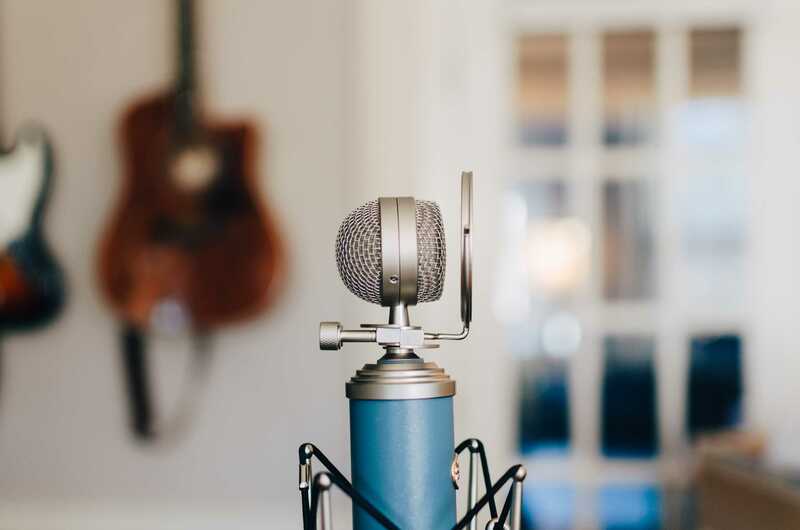 So while you might already be making killer YouTube videos for your business and regularly updating your Instagram profile, you should seriously consider surprising your followers with podcasts. According to Podcast Insights, 44% of the U.S. population has listened to a podcast. Reportedly, they listen to podcasts while doing household chores, as well as while driving to work or elsewhere. People consider it to be a great activity to pass time. In their podcasting overview, Podcast Insights also claims that businesses that have podcasts, also have more loyal, affluent and educated followers. At the same time, according to Nielsen Podcast Insights, podcast listeners are more likely to follow a business on social media if it has its own podcast. Not convinced to start your own business podcast yet? Here are more reasons to do that. A successful business is all about positive customer journey. If your customers are satisfied with the products or services you offer, they will definitely want to come back. Thus, you’ll have more loyal followers that will raise awareness of your brand. Having a podcast can largely contribute to making the customer experience more positive. When podcasting, you talk about your brand and make your customers aware of what’s in store for them. But besides talking about your business, new technologies and educating your customers, podcasting also gives you a chance to build the relationship with them on an emotional level. It’s well-known that human brain gets triggered by voices and the emotional tone of the voice since early childhood. When people hear you talking on your podcast, it creates a kind of an intimate atmosphere and triggers a sense of belonging. Another very beneficial feature of a podcast is that it tends to be rather informal and casual, unlike presentation or webcast. It’s rarely staged. Everything you need is a topic to talk about and some key points to cover. It is also a great opportunity to get your followers acquainted with your brand. While doing a podcast, you can start a Q&A session by letting your followers ask some questions and answering them live. For sure, you won’t have enough time to cover them all. But you can make Q&A sessions a weekly or a monthly thing and tell your followers everything they want to know about your brand (within reasonable limits, of course). Podcasting can surely help you build a stronger relationship with your existing followers. But it can also help you get the attention of a bigger audience. Kissmetrics once reported that 96% of first-time visitors don’t return. And if you desperately need want people to return and follow your brand, a podcast is a way to do it. Podcasts are able to increase traffic better than any other platform and channel. It’s connected with the fact that audio content works great for engaging audiences. If you have an interesting conversation about something, whether you’re alone on your podcast or joined by another person, listeners feel like they are a part of this conversation too. Especially if they have a chance to leave a comment and express their opinions. Listening to a podcast is a hands-free activity, so your audience can run their errands while listening to you. They don’t have to pay much attention to their smartphones or computers, unlike with any social media platform. That is why podcasts have a better chance of generating great traffic and bring you more new followers. The more traffic you generate with your podcast, the bigger audience you get. And thus, podcasting helps you improve brand awareness. Since more people are able to hear you talk about business-related topics, they can share information about your podcast and your brand. Podcasting also makes you different from other businesses most of your subscribers use. It will definitely help your brand stand out. Having a podcast opens a door to many creative opportunities, which also contributes to positive customer journey and brand awareness. Your company needs to be more creative, and podcasting is an endless source of ideas. For example, you can invite experts for a themed podcast and let them share ideas with you. This makes your podcasts more targeted and helps you attract certain audiences. It also helps you spread awareness of your brand in business circles and the professional world. The experts you invite are also influencers, and they also can share their impression about your brand with their followers. More people will be interested in your business, which will help you become a household name people are well-familiar with. – Advertising and engaging sponsors. You can collaborate with different brands and invite them to sponsor your podcast. In return, you’ll offer them to promote their products on your podcast. These are direct response ads and they usually require that you mention your sponsor at least twice during your podcast. You can also get a discount on the promoted products for your own followers, as you need to introduce some value to them too. – Offering membership and subscription. You can offer your followers to get an access to some exclusive content in return for a small payment. This can be ad-free content or bonus episodes. Of course, it would be more reasonable to make such offers after you’ve grown a big audience with an army of loyal customers. – Hosting live events. Usually, podcasts are pre-recorded, but you can arrange live events by inviting some influencers. If you have a large following base, you can offer them to visit your live event, to which they will need to buy a ticket. You’ll get a chance to meet your followers in person and communicate with them. And lastly, having a podcast can positively influence your relationships with employees. Entrepreneurs pay so much attention to engaging customers and getting the attention of potential followers that they sometimes forget to take care of their employees. Having a podcast can help your employees catch up with the latest company news. Besides, you can also engage them in making a podcast or involve them directly and have a live chat with them, where they’ll tell about their experience of working for your company. Having a podcast is a great way to generate more traffic, build awareness of your brand and even earn you additional money. So you should definitely consider starting a podcast for your business. It doesn’t require huge investments and it’s also a lot of fun! So start podcasting now and help your business stand out!